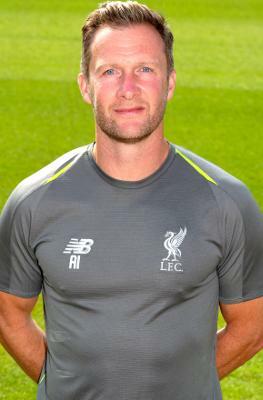 Alex Inglethorpe is the Academy director at Liverpool, charged with developing an environment in which players and staff can thrive and overseeing a style of play that mirrors Jürgen Klopp's senior team. He was originally appointed U21 coach in November 2012 and joined the Reds from Tottenham after six years worth of service at White Hart Lane. As a player, Inglethorpe's career began at Watford, where he played in the attacking midfield role, sometimes pushing further on to play as a striker. Following a loan spell at Barnet in 1995, Inglethorpe signed for Leyton Orient before making the switch to Exeter City in 2000, where, but for a brief loan at Canvey Island, he played-out the final days of his on-pitch career. Inglethorpe's first role in the dug-out came at Surrey-based side Leatherhead, from where he moved on to Leyton Orient as U19 coach in January 2004. Some nine months later, he took up the reins as manager of his former club Exeter and during his tenure there, the non-league outfit recorded a memorable 0-0 draw at Old Trafford against Manchester United in the FA Cup third round. Inglethorpe also served as assistant manager of the England National Game XI - a team that represents the Three Lions at non-league level - but he left the post in October 2005. In June 2006, he joined Tottenham and after Martin Jol's sacking, served as assistant to caretaker manager Clive Allen until the appointment of Juande Ramos. In November 2012 he arrived at Liverpool's Academy to replace Rodolfo Borrell as U21 manager after the Spaniard moved on to the role of head of academy coaching. Just under two years later an overhaul of the structure in Kirkby included a new role and fresh responsibilities for Inglethorpe. And in November 2016, his ties to the club were renewed as he penned an extended contract in recognition of a productive period for the Academy.